Andros is a quiet Cycladic island with little tourism making it an ideal place to slow down, get away from the daily grind to focus on new writing. Workshops are intensive and provide for a trusting space for published and aspiring writers to unfold their new stories. Aegean Arts Circle keeps each workshop small, working with award winning instructors who are committed to writing and nurturing the participants who join to work in these writing groups. To be accepted, please submit a writing sample and/or a brief description of a writing project you want to work on while in Andros. The goal is to produce new work and to learn from talented, inspirational workshop leaders who are masters at their craft. We work in a group each morning and then break up to have the rest of the day free until we meet up in the evening for our group dinners held on the restaurant veranda overlooking the sea. There is private time to write and refine your writing. 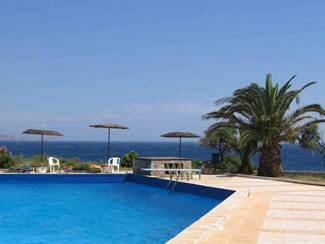 Like last year we offer writing retreat days to be added on before or after each workshop if you want to spend more time in Andros. Aegean Arts Circle would not exist if it did not have the help of some very generous people who have given their time and talent. I am grateful to Roy Cherris, Panagiotis Spiropoulos, Argyris Paspalas, George and Frances Melis and my daughter Anna, for helping me build AAC from dream to reality. 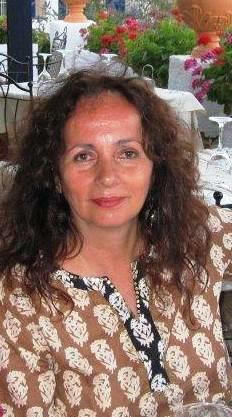 Amalia Melis is creator and organizer of the Aegean Arts Circle Writing Workshops in Andros. She has over 25 years experience as a freelance hard news/ feature writer, corporate communications & speech writer, editor, ghostwriter, press person (U.S. & Greece). She recently published two essays in KYSO Flash (Oct. 2014), DUCTS (Winter 2013), Glimmer Train (April 2012). Short stories and poetry have won awards and/or have been published in Glimmer Train, Writers@Work, Poet & Critic, Sojourner. She has published interviews with two Pulitzer Prize winning authors Michael Cunningham and Frank McCourt. Her first short story “Immigrant Daughter” won 2nd place Award for New Writers in Glimmer Train (Spring 2002 issue). She has written a novel and is seeking an agent. She is a freelance feature writer & she has led writing workshops for the Institute of Innovation & Creativity. When avoiding the blank page, she makes assemblage sculptures out of found objects. Her assemblage art has been part of group art exhibits in Vermont, U.S., Athens, Greece, Berlin, Germany.